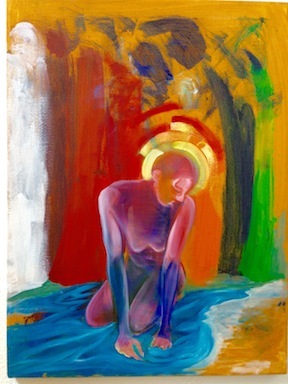 This is a painting from the Artist’s collection of free and expressive studies done on canvas. 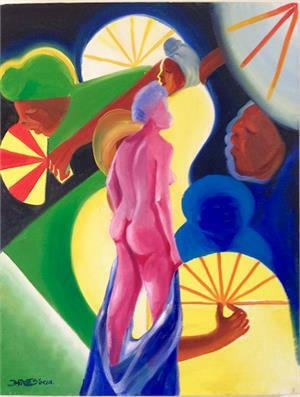 The paintings are development for color, composition, and subject ideas, done from the Artists pencil sketches or direct inspiration. The “Sketches In Paint”, are marvelous mysteries that excite the imagination. Please Sign Up for Notification of Auctions. This Painting was done in 2014 a beautiful oil and oil pastels on canvas with a wooden frame. The painting features a bass player. 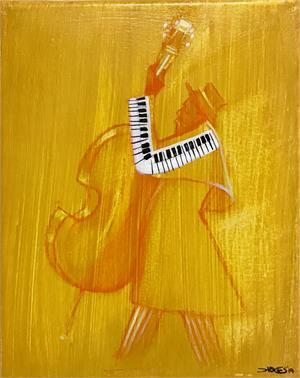 The painting is the artist interpretation of the idea that the keyboard carries the melody of the song. 8” x 10” unframed canvas on a wood stretcher framed and mounted on the 13' x 15" wooden frame. This Painting was done in 2007 a beautiful oil on canvas. 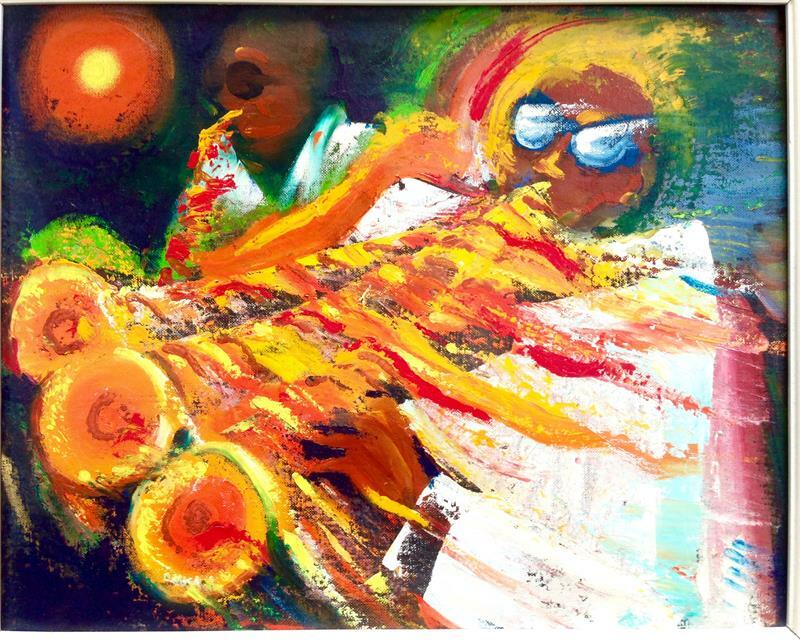 The painting features a bass and sax player jamming in the cosmos. 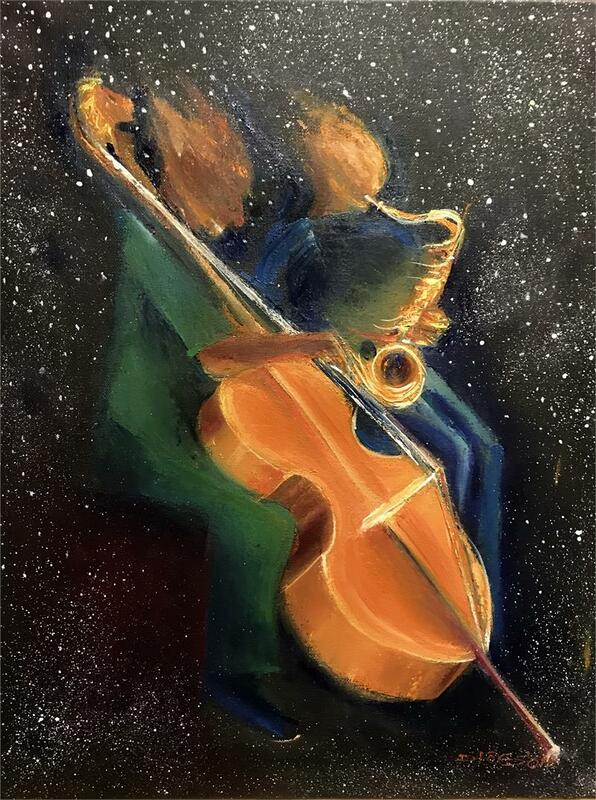 The painting is the artist version of the place where the perfect mind blowing sound lives. 16” x 20” unframed canvas on a wood stretcher. Painted in 2007. 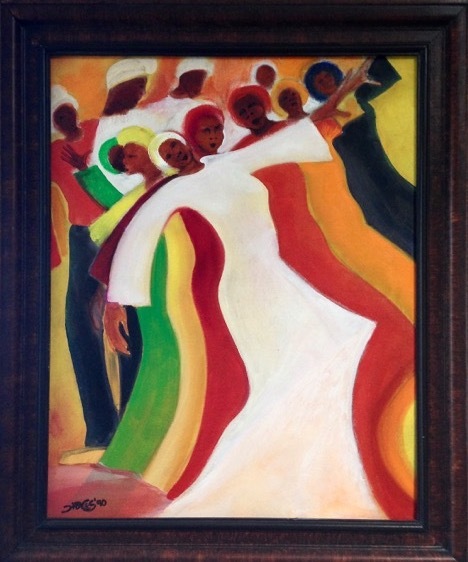 This painting is an excellent example of the well known "Caribbean Series". "Harvest Market" is a documentation painting done for your visual delight. "Harvest Market" is a wonderful example of the energy in the market place during the busy and abundant holiday season. 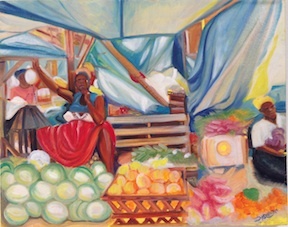 The "Caribbean Series" is well know for cultural compositions, color, movement, documenting the joys and sorrows of the people of color in the Caribbean Diaspora. 16" x 20" Oil on stretched canvas. 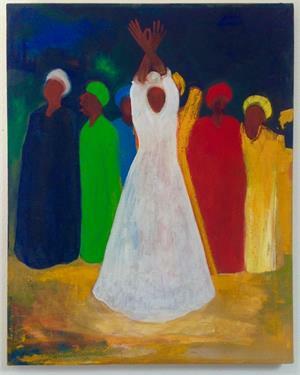 Painted in 1990, is an inspirational painting expressing the feelings of Spiritual Joy. 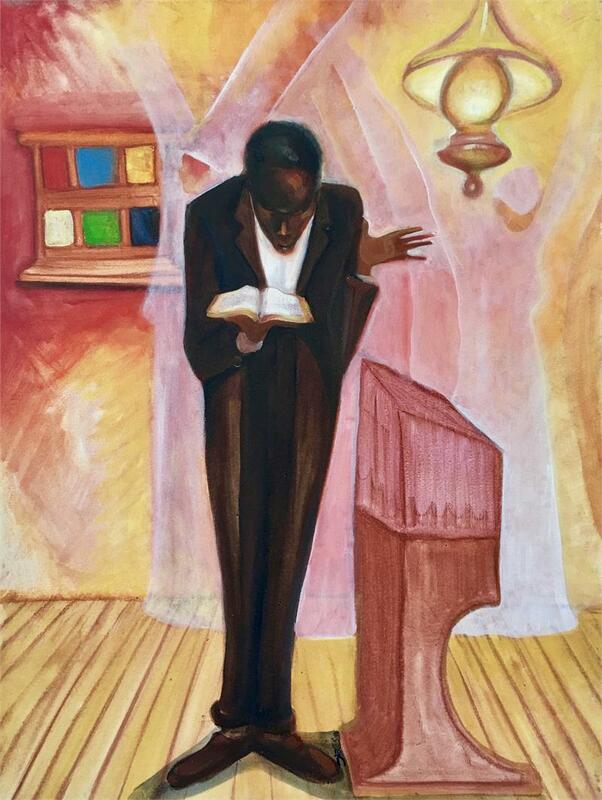 This painting is an excellent example of the well known "Revival Series". 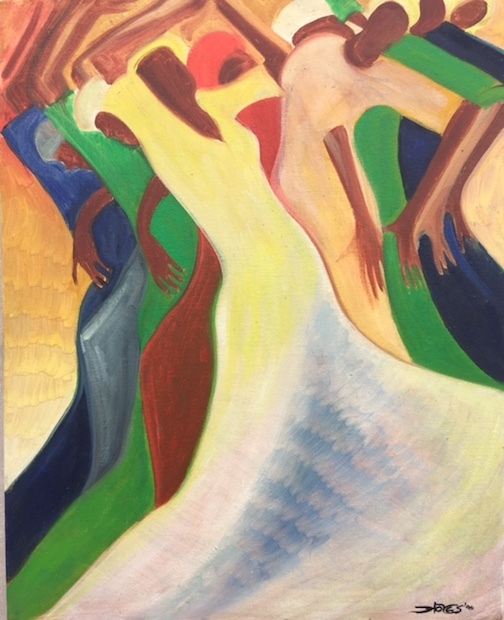 The "Revival Series" is well know for color, movement, emotions and uplifting soulful energy. 16" x 20" Oil on canvas board framed with a 2" brown wooden frame. "Gospel According To Benny Andrews"